Recent studies indicate that the alcoholism rates among lawyers are even higher than was seen in the past. Alcohol is the most commonly used drug in the United States. With the high numbers of usage, it is no surprise that alcohol is also the most commonly abused drug as well. Although there is nothing wrong with drinking in moderation, the problem transpires when people drink too much too frequently and it starts affecting their daily lives. Even though alcoholism is a problem in general, there are certain professions that are impacted more than others. According to a study from the American Bar Association, 21 percent of working lawyers qualify as problem drinkers. When compared to other professions such as doctors, research suggests that lawyers experience alcohol-related problems at a far higher rate. Even though there are various theories and hypothesis about why drinking is an issue that affects lawyers more, the supporting data is still inconclusive. Lawyers may be drinking more due to depression, mental health issues, stressful work environment, long hours, etc. It is likely that the issue is a combination of numerous variables and not just one. Despite alcohol being a culturally popular and widely used substance, it is still very dangerous. Consuming too much can lead to death, it damages brain and body organs, it can be addicting, and inhibits brain functions. The popularity and acceptance of alcohol in society itself is a strong reason as to why people drink. There is so much hype and expectation around turning 21 years old purely because that individual can officially, legally drink. Drinking moderately is not a problem, but is also not encouraged in the younger age group. That is why, according to the study published in the Journal of Addiction Medicine, younger attorneys in the first tens years of practice exhibit the highest incidence of problems associated with alcoholism. The best way to stop a problem is to prevent it from becoming a problem in the first place. 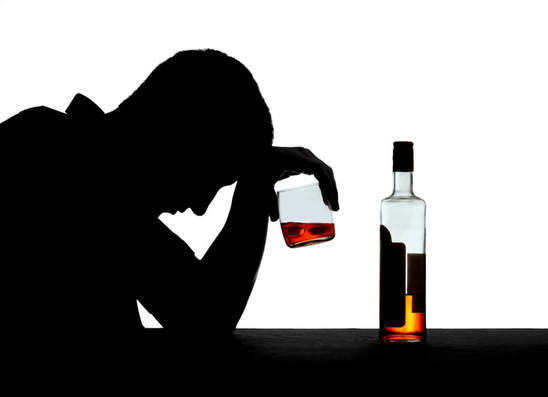 Alcoholism, however, is too difficult to prevent in large numbers because it is simply too popular, too accepted, and too celebrated in society.